As the business world looks back on this year’s trends and looks forward to 2014, we’re revisiting what experts predicted for this year last December. Last week, we reviewed and evaluated Vivek Wadhwa’s five 2013 innovation predictions. On tap today: a review of MIT Sloan School research fellow Michael Schrage’s four 2013 innovation predictions, as featured in his December 2012 Harvard Business Review Guest Post. According to Schrage, badges would increasingly be used in the online world to earmark valid and verifiable accreditation from companies, academic institutions, and professional associations. According to Gartner research VP Brian Burke, companies/developers that get fixated on points and badges fail. “You just can’t put badges on something and expect it to work,” Burke has said. In June 2013, Mozilla Labs, the MacArthur Foundation, and former President Bill Clinton launched the Open Badges Project to promote the use of badges to identify online credentials. Q42013 project momentum has been slow. In fact, the project hasn’t had any press coverage since Schrage’s HBR forecast. We suspect that open accreditation badges will face a long uphill battle for three reasons: (1) talent capabilities need to be proven, not asserted (2) the judgment of “capabilities” is subjective and (3) the idea of badges conflicts with America’s “prizes for all” culture and is likely to suffer from gamification’s downslope trend. Without secure signing, open badges are subject to a huge host of other issues. We’re doubtful that badges (Mozilla or otherwise) will revolutionize e-learning or disrupt higher education in the near future. Multidevice engagement and multi-tasking would be increasingly omnipresent in 2013, predicted Schrage. Content creators worldwide would readjust their business models accordingly. Networks, advertisers, and social-media services trying to capitalize on the “second screen phenomenon” have encountered challenges. Twitter is still the only social television app with any critical mass. Many noted experts are beginning to declare that you can’t make money with second screen. That second screen equates to “no-income advertising.” The more we drive consumers to the second screen, the harder it becomes to monetize their time and attention. According to a new report by eMarketer, roughly half of all Americans look at their social networks while watching TV but only one in six post something about what they’re watching. If brand and network hesitancy and absence of ROI are not enough to thwart second screen, most viewers DVR shows and watch them later (save for rare “extreme fan” exceptions like the Super Bowl and Breaking Bad’s finale). We simply don’t see second screen stealing ad share away from television. According to Schrage, social media recommendations from friends would be taken more seriously in 2013, offering sophisticated reasons and rationales for recommendations. Schrage predicted we’d see feedback loop links between Quora and Outlook/Gmail/Linkedin/Facebook. Links between Expedia/Outlook/and social networks. Links between Powerpoint/Slideshare/and social networks. Are we guided by what the Jones’ are doing? In the real world, yes. Via social networks? Surprisingly no. The value of social recommendations is on a steep declining slope. While research has shown that 70 percent of consumers trust social media recommendations from friends more than traditional advertising, people don’t buy what their friends RECOMMEND on social media platforms. Is Facebook’s search technology failing marketers? A growing number of companies believe that Facebook ads don’t work. New research from YouGov reveals that 83% of shoppers will ignore friends’ social media recommendations this holiday season. 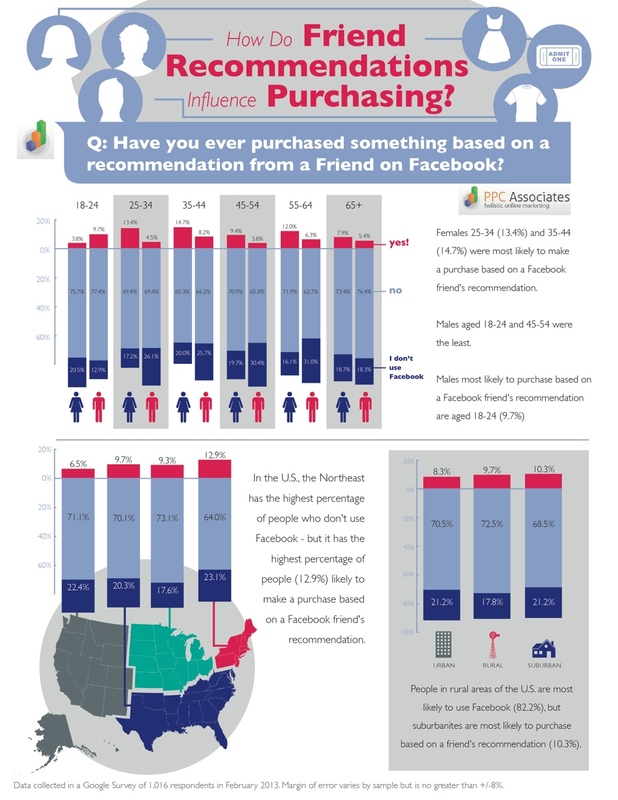 Social recommendations increase discovery and trust, but not sales (particularly among males). Keller-Fay, the word of mouth specialist, reports that 90% of brand conversations still take place offline. As for the extensive recofriendation feedback loop links across all social networks? Didn’t really happen. Schrage believed the Fed’s policies would make it easier for innovative entrepreneurs to raise capital in 2013. He expected entrepreneurship to be perceived as an “alternative investment” with huge appeal to institutional investors seeking diversification options. “There may never be a better time to be a charismatic entrepreneur with a scalable prototype,” Schrage wrote. Though the final tally is not yet in, year-end 2013 venture capital investments are expected to be lower than 2012. VCs are taking smaller stakes and structuring fewer deals with liquidation preferences. Most VC funds are small. IPOS are still unlikely to be a rich exit (even Twitter stock is proving volatile). And the series A crunch continues. Overall seed stage investment in startups has decreased from a year ago. Medical devices startups, in particular, continue to face a VC funding freeze. Medtech investments are at their lowest point in 9 years. The 2.3 percent medical device tax is contributing to the gloomy fundraising outlook. The cold hard facts: ninety percent of all businesses in the US have 0-5 employees. They are small and most will stay small. Optimistic. The Year That COULD Have Been. Predictions are just educated guesses. Optimism can be a good thing but it can impair your forward-thinking vision. Without realism, unbridled optimism can lead to real-world disaster. So, how would you score Michael Schrage’s 2013 predictions? Which trend surprised you most this year? 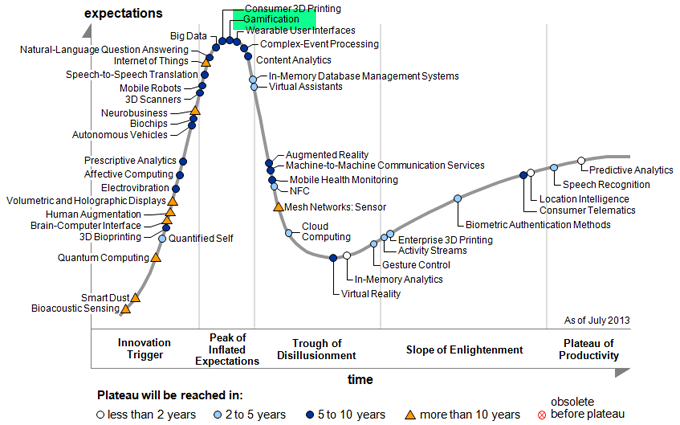 What was YOUR favorite 2013 innovation or technology prediction? Did it come to fruition? Up next week: Trend Hunter Jeremy Gutsche”s 20 predictions for 2013 predictions, revealed IN THIS VIDEO. Due to space, we’ll recap five of our favorites and assess whether his predictions came true.